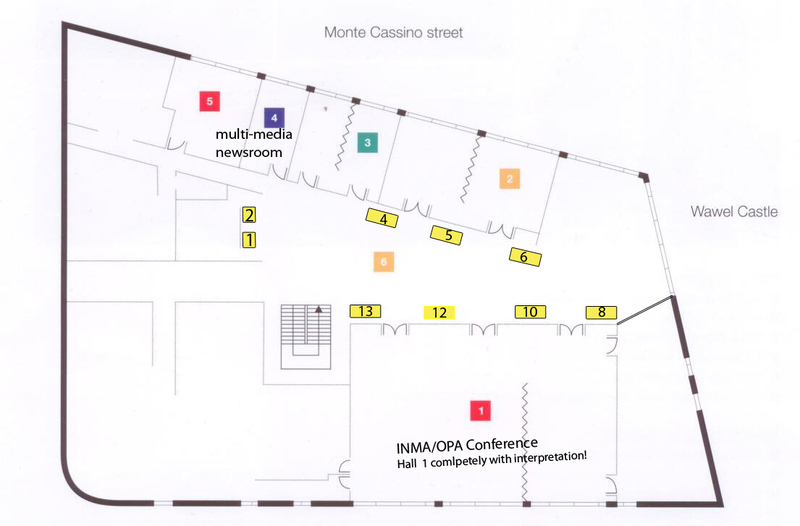 The INMA/OPA Europe Conference is the single best place for networking within the newsmedia industry. Standard trade shows are a thing of the past -- INMA is introducing our Networking Lounge as the solution for exhibitors and attendees. Get your own networking area soon. Open networking areas are being offered outside the conference hall for exhibitors. The space is a blank canvas for you to create your own lounge for attendees to relax and interact with you. Each space will have 1 cocktail table with chairs for seating - the rest is up to you! Use your company pop-up, a flat screen for presentations, or simply contract furniture for a relaxing oasis for delegates to interact with you during all breaks and cocktails. The following companies have reserved the following areas. Should you be interested in sponsorship opportunities or reserving an exhibitor space, please contact Inge Van Gaal by clicking here or by telephone at +32 47 760 53 67. You may also contact Maria Terrell by clicking here or by telephone at +1 214 373-9111.